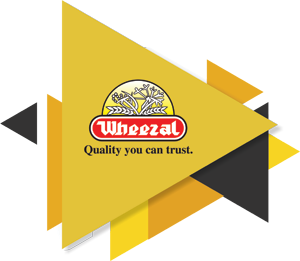 Wheezal’s quality policy is to achieve and maintain total customer satisfaction and wellness by providing health care pharmaceutical, personal care products and services that consistently conform to the prescribed guidelines of GMP specifications of quality and safety as per the government statutory protocols and standards. The objective of the company is to provide high quality products and technical services both to the domestic as well as international markets at optimum costs. We are continually improving our own in house standards with due attention being paid to the characteristic quality inputs, plant hygiene, environmental concerns, waste management and human resource development to maintain high efficacy in all our products. All members of our organization are committed towards excellence of performance and are conscious of their role in meeting the requirements of quality and safety in operation at all levels. This is achieved through training, personnel motivation, team work and emphasis on the quality in manufacturing practices, by co-ordination with suppliers, marketing through customer relationship, communication and services. We are responsible for providing confidence to the internal management, personnel, customers and other stakeholders & that the quality system requirements are established and fulfilled from time to time.